On Nov. 14, 2013, Warren Buffett’s Berkshire Hathaway (NYSE: BRK.A, BRK.B) disclosed a position of more than 40 million shares in ExxonMobil Corp (NYSE: XOM), an investment worth about $3.8 billion at the stock’s current quote. With an estimated net worth of more than $53 billion, Warren Buffett is arguably the world’s most successful investor. His purchase of a stake in ExxonMobil predictably attracted a flurry of speculation about why the Oracle from Omaha chose loaded up on shares of the integrated oil company. Investors who rushed to follow Buffett’s lead were already late to the party; Berkshire Hathaway purchased most of the stock in the second quarter at an average cost of $87.50 per share–almost 10 percent below the current quote. Also keep in mind that Berkshire Hathaway manages an enormous investment portfolio that’s worth about $90 billion. Only a handful of energy companies have the market capitalization and daily trading volume to absorb an almost $4 billion investment without an outsized effect on the share price. Berkshire Hathaway can park a huge investment in ExxonMobil, collect a dividend yield of 2.6 percent and exit his position without causing a major dislocation. 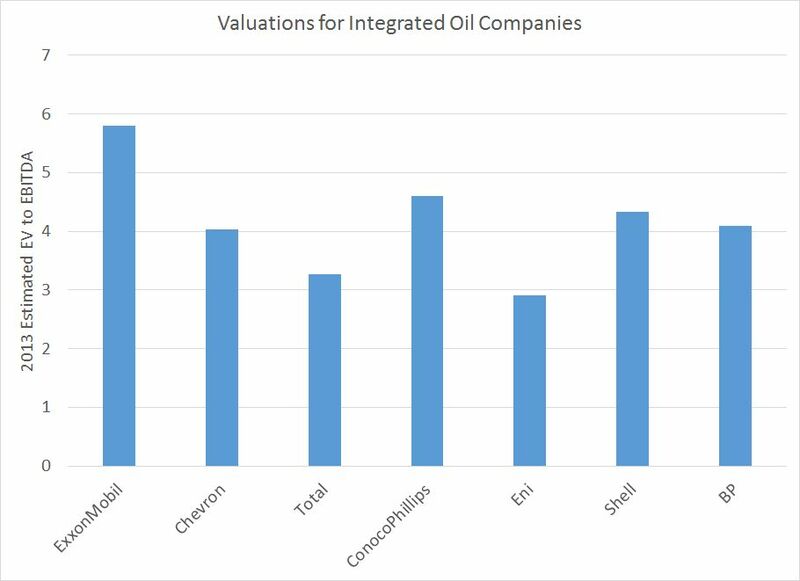 Regardless of Buffett’s rationale for building a position in ExxonMobil, we prefer other integrated oil companies. Many investors hold a peculiar reverence for ExxonMobil, regarding the oil giant as a magical money-making machine. I’ve even heard some pundits argue that ExxonMobil is the only stock an investor needs for exposure to the sector. Like other integrated oil companies, ExxonMobil operates both upstream (exploration and production) and downstream (refining and petrochemicals) business lines. 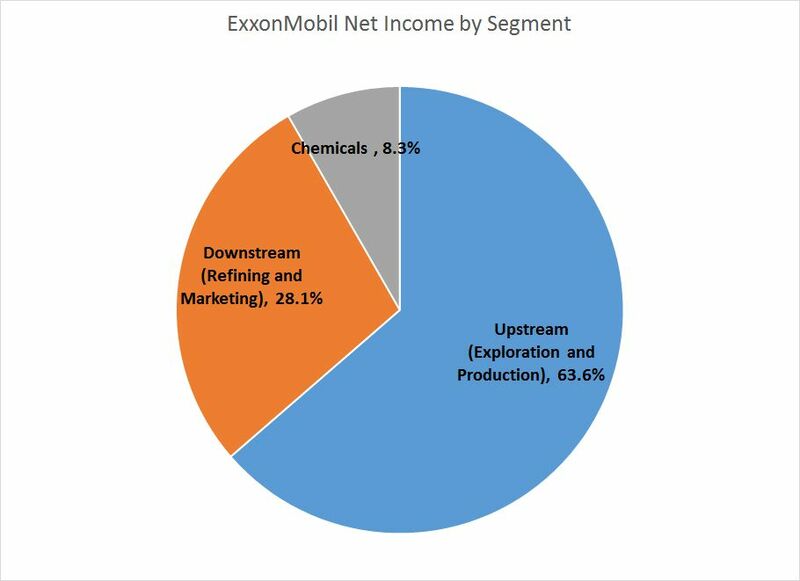 ExxonMobil’s exploration and production segment accounts for about two-thirds of the energy giant’s net income. With the exception of a handful of state-owned entities, ExxonMobil takes the crown as the world’s largest exploration and production outfit. Last year the firm’s worldwide operations lifted more than 4 million barrels of oil equivalent per day. But the market tends to reward integrated oil companies that can grow their production meaningfully, especially when commodity prices are elevated or on the rise. 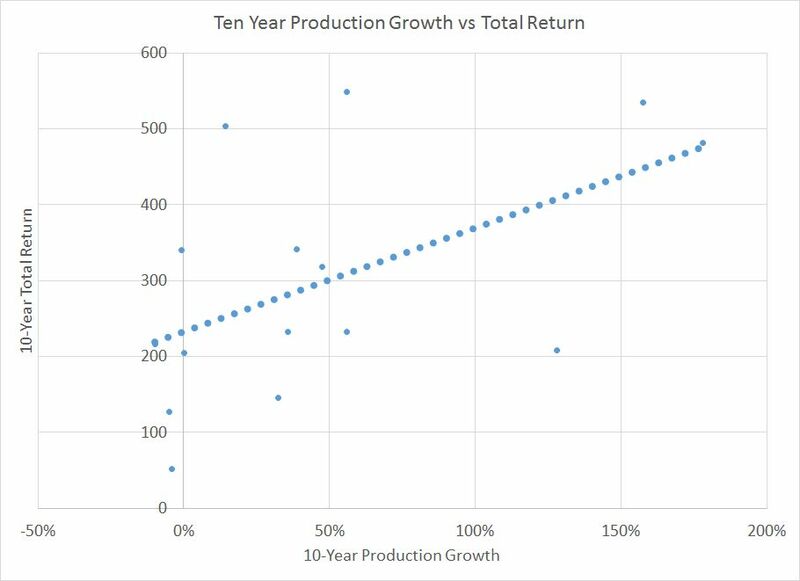 This graph compares 10-year production growth and stock market returns for a number of integrated oil companies and several large independent operators. Notice the pattern: Names that grew their output the most generally outperformed those that increased their hydrocarbon volumes only modestly. Oil and gas companies add reserves primarily via acquisitions or the drill bit–that is, by finding new plays or developing their existing fields more completely. The market tends to reward names that have high organic reserve replacement ratios, a metric that compares reserve additions through the drill bit to the amount of hydrocarbons produced over the same period. For example, an exploration and production company that produces 1 million barrels of oil in a given year and discovers a new field with proved reserves of 1.2 million barrels would have an organic reserve replacement ratio of 120 percent. An organic reserve replacement ratio of more than 100 percent indicates that an oil and gas company found more hydrocarbons than it produced over a given period. A ratio of less than 100 percent suggests that the firm struggled to replace its proved reserves. 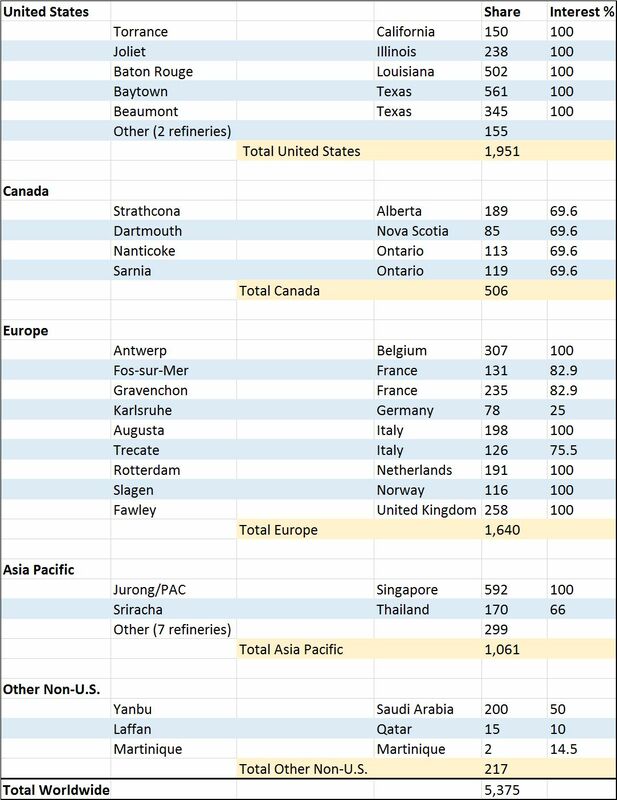 To demonstrate the correlation between reserve replacement and the total returns generated by an oil company’s stock, I started with a list of 200 larger exploration and production names. An equal-weighted portfolio of these stocks (rebalanced annually) generated a total return of 188 percent over the past decade, with a standard deviation (a popular measure of risk) of 31.2 percent. Next, I ranked this universe of exploration and production companies by annual production growth and dropped the names that appeared in the bottom half of the table. 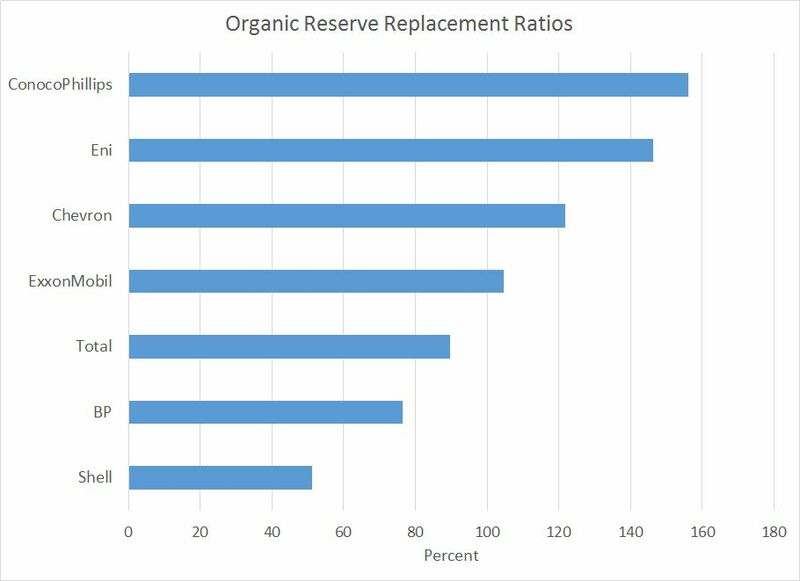 With the remaining names, I selected the half that exhibited the highest organic reserve replacement ratios. 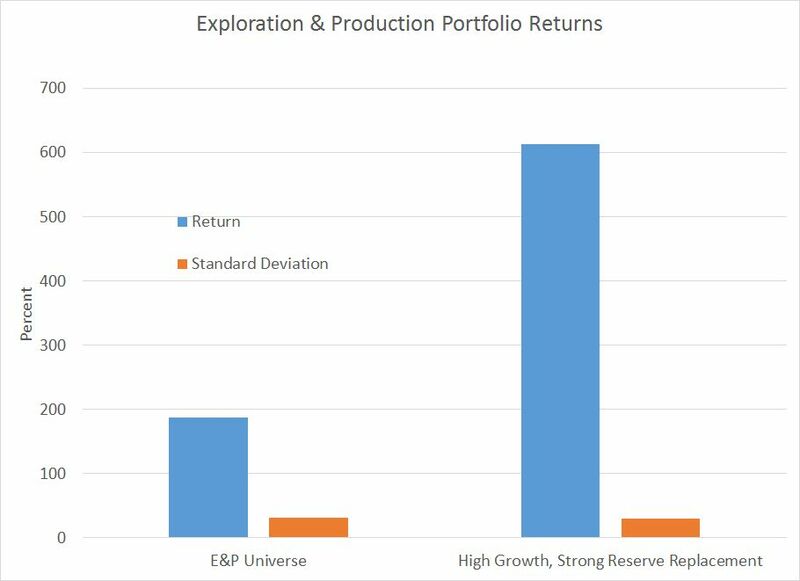 An equal-weighted portfolio of these exploration and production names that grew their annual hydrocarbon output and replaced their reserves at an above-average rate generated a total return of 613.9 percent over the past decade. This basket of stocks exhibited a standard deviation of 29.7 percent. In other words, by focusing on organic reserve replacement and production growth, an investor could have more than tripled his or her returns while slightly reducing volatility. ExxonMobil has underperformed on both counts over the past decade. 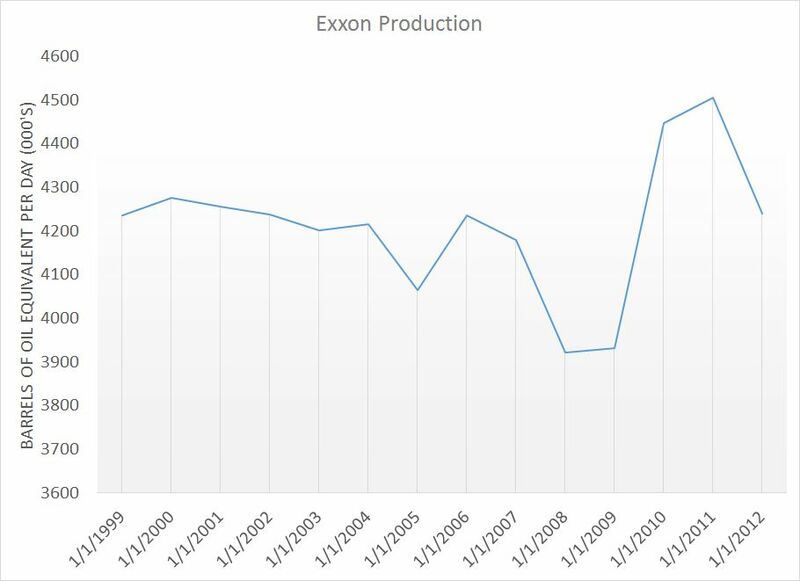 In fact, the energy giant’s 2012 hydrocarbon output was roughly on par with its production a decade earlier. The integrated oil company replaced 104.6 percent of its reserves in 2012, ranking in the middle of the pack among the largest US and European oil companies. Meanwhile, US-based competitors Chevron Corp (NYSE: CVX) and ConocoPhillips (NYSE: COP) posted far superior reserve replacement ratios last year. The sheer size of ExxonMobil’s existing production base makes it difficult for the firm to replace reserves and move the needle on production growth. The company produced almost 4.25 million barrels of oil equivalent per day in 2012 and faces an annual decline rate of 3 percent to 4 percent; to maintain its current hydrocarbon output, the firm needs to add between 130,000 and 170,000 barrels of oil-equivalent production each year. To grow total production, ExxonMobil must pursue large-scale projects. Unfortunately, many of the world’s largest oil and gas fields are controlled by national governments or state-sponsored energy companies. Historically, foreign governments and state-sponsored oil companies partnered with one of the major oil companies to develop their reserves. These international oil giants have the knowledge, experience and capital to develop complex multiyear projects. In exchange, the oil major would get a share of production and book additional reserves. Bottom Line: ExxonMobil’s 2013 analyst day presentation calls for the company to grow its production at an average annual rate of 2 percent to 3 percent between 2013 and 2017. Although achieving this goal would be a strong showing for a company of ExxonMobil’s size, many smaller exploration and production outfits have superior growth potential over the same period. With a nameplate capacity of more than 5 million barrels per day, ExxonMobil is easily the world’s largest refiner. The profitability of North American refineries has surged since early 2011, thanks to the large volumes of discounted natural gas and crude oil flowing from unconventional plays such as the Bakken Shale in North Dakota, the Eagle Ford Shale in south Texas and Canada’s vast oil sands. When the price differentials between regional crude-oil benchmarks widened in late 2012 and early 2013, the net income generated by ExxonMobil’s refining segment also expanded. Although new pipeline capacity from in the Midcontinent region helped narrow the price discounts for North American crude oils in the second and third quarters of 2013, these differentials have widened once again–a trend we expect to continue in 2014. We expect ExxonMobil’s refining division to benefit once again from the favorable oil-price differentials in North America, thanks to its significant capacity in the Midcontinent and Gulf Coast regions. But less than half of ExxonMobil’s refining capacity is located in price-advantaged North America. The company owns1.64 million barrels per day of refining capacity in Europe, where weak profit margins have promoted the industry to mothball or permanently close more than 2 million barrels per day of refining capacity since 2009. 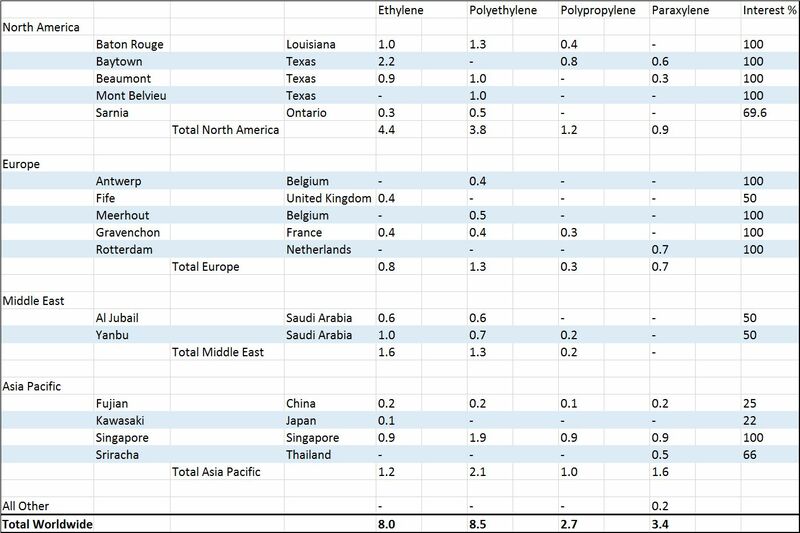 Although the long-term outlook of refined-product demand in Asia looks solid, refineries in this region likewise face higher costs for their feedstock than downstream operators in North America. In short, we prefer independent refiners that operate primarily in the US and Canada. 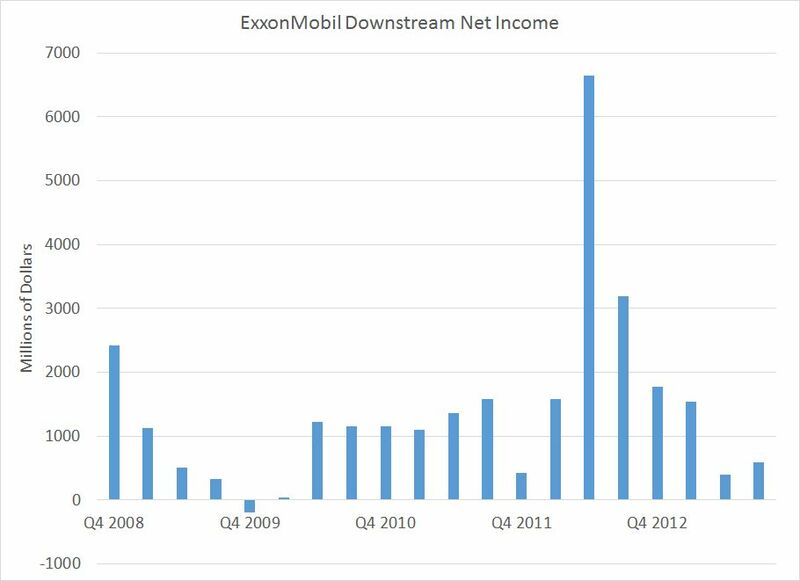 ExxonMobil’s petrochemical business accounts for about 10 percent of the firm’s revenue and net income. The unit has performed well in recent quarters, fueled by North America’s overabundance of natural gas liquids (NGL) such as ethane and propane–hydrocarbons that are uses to make many plastics and synthetic materials. Depressed NGL prices have bolstered profit margins for petrochemical producers in the same way that discounted US crudes have boosted refiners’ profitability. Unfortunately for ExxonMobil, the majority of the integrated oil company’s petrochemical operations are located outside North America. Investors looking for exposure to the revivification of North America’s petrochemical industry should focus on names that have the opportunity to expand their existing productive capacity before a flood of new ethane crackers comes onstream in 2016 and 2017. ExxonMobil has built a deserved reputation as a shareholder-friendly company. Not only has the firm grown its dividend at an average annual rate of almost 10 percent over the past five years, but the company has also repurchased more than 600 million shares–about 12.2 percent of its float. Nevertheless, ExxonMobil’s stock has lagged most of its peers over the past five and 10 years. Shares of Chevron Corp, for example, have generated a total return of 85 percent over the past five years and 350 percent over last decade; ExxonMobil, on the other hand delivered a 32 percent gain over the past five years and a 223 percent profit over the past decade. And many valuation metrics suggest that ExxonMobil’s stock is the most expensive of the world’s seven largest publicly traded oil companies. That’s not to suggest that ExxonMobil is a bad company or that shareholders should dump their positions; the firm’s bulletproof balance sheet and diversified operations make the stock an excellent long-term holding for those who already own the shares. However, ExxonMobil isn’t the best investment at the stock’s current valuation; investors eyeing the company look elsewhere to put new money to work. We prefer Occidental Petroleum Corp (NYSE: OXY), a smaller name that should grow its production at a faster clip and has a credible plan to buyback a significant amount of its outstanding shares. Elliott Gue is founder and chief editor of Capitalist Times and Energy & Income Advisor.